Then in the year 2003 something very, very exciting occurred. A new Ray of Creation was co-created by Creator and many great beings of Light, led by Archangel Michael. This Ray contained an element that had never been in the creative process before. Within All-That-Is, this element was found here, on the planet Earth. The element in this new Ray is the love that humanity holds for humanity. That simple, pure vibration of Love was put into this new Ray and activated. It began to permeate many, many aspects of the contaminated Fall of Consciousness. And the new Ray worked. And then the new Ray continued to work. The growth of the mutations and wobbles and distortions slowed down. To this day, the Fall of Consciousness has begun to reverse its influence. For the first time ever, the distortions, mutations, the darkness and Fear that have permeated many aspects of the Creator’s creation are reversing. They are weakening and slowing down, and the Christed Light of Creator has more and more room to expand and reach out. This is all because of You. You are the Great Experiment. The Christed Light was placed as a tiny spark of Light deep within the Sacred Heart to be found, grown ,and brought forth. The Rays of Creation, their process and their creative power is now very much moving throughout All-That-Is. whether you know it or not, this incredible process came about because of you, The mere fact that you are on this planet at this moment is a testament to how big and significant you truly are. How is it that you participated? If you have read the stories in the Bible of Revelations, they describe multiple paths that could have been chosen in the process of getting humanity to a decision point where we either choose to follow the mutations or the Light of the Creator. Many, many times in humanity’s history, we have fallen back into the darkness and we didn’t have the strength or will to step away from the distortions and wobbles. It was easier to simply give up and fall. The year 1987 was different. Again, the momentum brought us to a critical moment of decision. Do we, as humanity, agree to let the momentum continue and simply fall back into darkness and wait until eons pass so we can try again? This was the question put forth to you as a Soul. In 1987 we all took a type of vote, and all the souls and all the beings on the planet, together, decided to see if we could change what was in motion. Our purpose in making this change was to bring the Christed Light back to this planet. It was a wild consideration. This was a Light that had not been experienced for hundreds of millions of years. 51 percent of us said “Let's go for it.” We didn’t know it would even be possible. We had no role models and didn’t know the steps required. But we committed to going forward. Since that time there have been many grand beings that have birthed onto this planet. These are the children, the little ones. They are Big. These are the ones that were born after that auspicious moment in 1987. They are big, big beings, carrying with them a vibratory field of Light that has been very stimulating to you and me. They come from many Christed places, and many have never been on this planet before. They have arrived with a strong intention. In 1987 we began to hold a level of possibility that had never been held before. Because of that possibility, and because of our passion, that love for humanity that each of us holds, is transformative. How do you communicate and how do you love one another? As you look around, it may not be very apparent as we all play out our life-game, but in fact, it is very apparent. Because of what occurred in 1987, many of those potential, predicted catastrophes were averted. In the year 2000, an entirely new energetic was brought onto the planet. A new element of Love was also brought onto Planet Earth. 2003 was the year that the new Ray, brought from Michael, began to end the distortions. All because of you. That Ray is now operating in All-That-Is. All of the universes and sectors of this universe are now very engaged in the Shift of Consciousness. In 2007 another event occurred which made it possible for the presence of the Christed Light to begin the return to the planet. That possibility began to grow and unfold and reveal itself. On November 11, 2011 there was a grand, collective focus of energy all over Planet Earth. There were many who were able to hold that Christed vibrational pattern and there were numbers of others who were able to call it forth and re-anchor it into the earth… and it was anchored. A new high vibration of Love has begun to radiate back out into the waters of Planet Earth. Every drop of water within all life on this planet today is now growing, radiating, and reflecting this Christed Light. 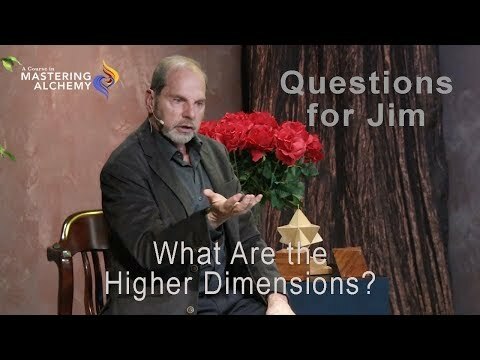 The third dimension is now rapidly falling away. Planet Earth has begun to return to that fully Christed status. It now reflects its vibration of unity back into humanity and all her inhabitants. As of 2011, you are not the same person as you were. On that 11-11-11 date there was a change. That change is now very strongly anchored within the hearts of everyone on Earth and it is growing very, very rapidly. It is believed, by Metatron, Uriel and Michael that because of this creation, coupled with the return of the Christed energy, Planet Earth is now beginning to vibrate in harmonic resonance with the other 11 Christed Light centers in All-That-Is. All who have been affected by the loss of Light and by the Fall of Consciousness are now returning Home to the heart of Creator. This is Uriel's story, Metatron’s story and Michael’s story. It describes a shift that they and other great beings held as an intention and believed was possible. In addition to being an amazing story, this is also a personal process. If you would pause right here and feel the story, what you will feel is a crystallized aspect of Light that sits in your Sacred Heart. It is in the form of the geometry known as the star tetrahedron. This Light has always been there, but until 11-11-11 it hasn't held the capacity that it currently holds. What you feel is the unified aspect of All-That-Is that now has been magnified in the Christed Light. If you pause, exhale and feel the energies in this story, you will begin to have an idea of what the unified field of consciousness holds for all of us. You will touch and begin to integrate the ability to experience yourself within that unified field. Here,there are no mutations, no distortions, no fear or distrust. I had often heard that « Fall from Grace » term and I always felt kind of “taboo” or of “mortal sin” around this. I never believed this, deep within. I have always been searching for the true story on that subject. I often came across bits and pieces but it would only stimulate my curiosity even more. SYNCHRONICITY! I believe those channelings came out at exactly the PERFECT moment. I will, for sure, forward those never-published-before, Truth-vibrating documents to all my God-Oneness-oriented friends. This was a pleasure also to feel the particular energy of incredible accomplishment, gratitude and pride. We now know why we are the centre of attraction of All That Exists in these UNIQUE times. THANK YOU. 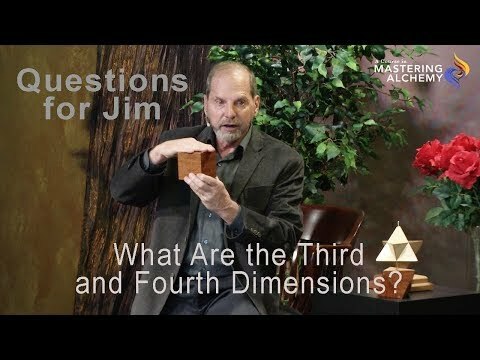 I enjoyed this 3-part "story" immensely, and felt that wonderful surge of joy at the end that I have come to know so well Thanks Jim!